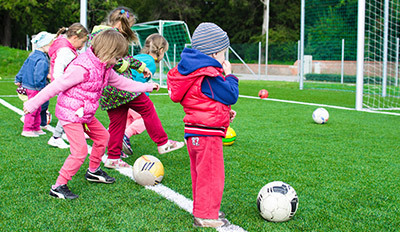 All children love to put on a uniform, to be part of a team, to enjoy the great outdoors and feel the thrill of friendly competition in playing soccer, often termed “The Beautiful Game”. Tavistock Tornadoes Soccer has offered these opportunities to our local community for many years. However, it is clear to us that there are many more children and youth in our surrounding community who want to play soccer but are unwilling or feel unable to participate in the programs we currently offer, as they have special needs that need to be accommodated. Starting this year, we plan to offer a “grass roots” soccer program for those in our communities with special needs. Our program is founded on the belief that people with disabilities can, with proper instruction and encouragement, learn, enjoy and benefit from participation in individual and team sports. Our aim is to improve the lives of people with disabilities, and in turn, the lives of everyone they touch.